Do you experience pain in your big toe joint often that you think it is alarming? By reading this article you will be able to know the different big toe joint pain causes and treatment. Therefore, you should worry less, it is not anymore, once you read this page! Having a joint pain in any part of your body is annoying enough such that it can be a hassle to your everyday living. A lot of your daily tasks might remain pending because the pain may just be unbearable enough to just decide to take a break and be bedridden for quite a time. Additionally, your big toe joint pain may be a symptom that you are having some kind of a disease. Thus, the pain that you are feeling should not be ignored by any means. This is a bump just on the lower side of your big toe, commonly associated with hallux valgus which is a usual case of a foot condition. 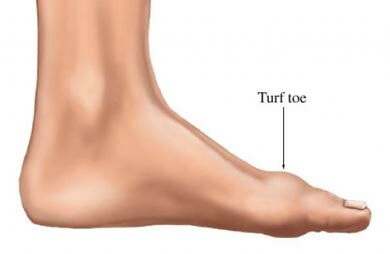 This causes your big toe to have a shift in its position, leaning towards the other smaller toes instead of just straight up, just like the others. 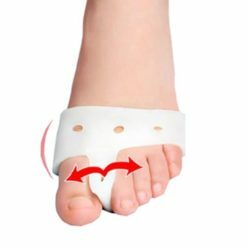 Moreover, you can say that you are having a bunion when you notice that the top of your toe is turning inwards, meaning, it is not in its usual position. The bottom of your toe also starts to push outwards during this time which is the reason why you can see a lump in your feet when you have a bunion. Although a bunion is usually noticeable among women as this only have few cases in men, this can inarguably happen to men also so there has to be no reason for ignoring it when your toe starts to form this way and you begin to have a big toe joint pain. The usual result of this is an irritated bump which causes your big toe joint pain. Hallux Limitus is a condition that somehow limits your big toe joint’s range of motion. Instead of distributing equal pressure to the whole of your feet, this condition locks up and often results in a bunion. The pressure in your feet when you walk or run or jog is like this: due to gravity, the weight of your body when you stand is pulled down, such that when you walk, there should be an equal distribution of pressure between your legs and your feet. 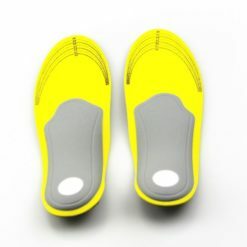 However, when you have hallux limitus, there is a tendency that you would not be able to equally distribute the pressure that comes off from the weight of your whole body when you move. When there is a limit in your range of motion, this is where you get to have your ever despised big toe joint pain. Arthritis or Osteoarthritis to be precise is what causes your big toe joint pain. It develops from a problem in the structure of your foot, as well as of its functioning. Some causes that result to this is trauma from a fracture or a dislocation of the big toe. Osteoarthritis can be caused by the wear and tear on your joints which often results in your big toe joint pains. It can also result in its stiffness. Trauma from a fracture or a dislocation in the bone, as mentioned above, is not the only factor that could lead to this kind of arthritis. This can also be caused by rheumatoid and psoriatic arthritis. 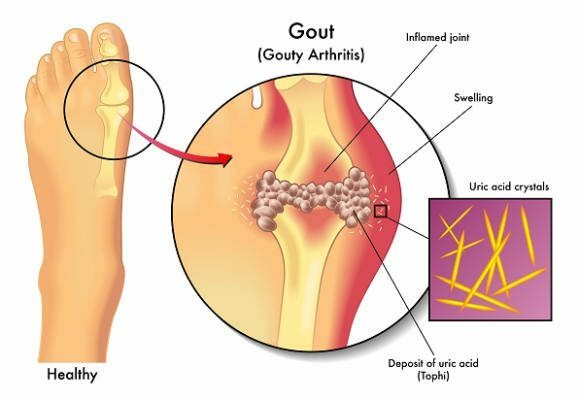 Gout is a metabolic condition that can definitely cause your big toe joint so much pain. This occurs when the uric acid from the foods that you consume builds up in your blood which basically forms crystals into your joints. This is one of the reasons why it could hurt so badly. Apparently, this is one of the common causes of big toe joint pain, next to bunion. You could say that you have this kind of condition when you notice a sudden excruciating pain in your big toe. Inflammation and redness can also be the symptoms of gout. This is a result of your lifestyle such that by just having the wrong choice of food intake you can have a condition (gout). Further, it could even develop into another painful experience such as a pain in your big toe joint. This shouldn’t be ignored as this may develop into something worse. Your sesamoid bones are located in the tendon that enables your big toe to flex down. This can result from trauma which is often caused by physical injuries in your feet. The trauma can be like that of being out of balance after jumping, ballet dancing or even playing basketball. An inflammation of these bones can definitely cause your big toe joint pains. If you are not able to recognize your sesamoid bones, it is located underneath your big toe which are shaped like a pea. These function by being somewhat like a pulley for your tendons in this area. This way, you can be able to move your toe and have an efficient pace in walking. Your sesamoid bones would be incapable of pulling the tendons for your movements when it has an inflammation. The inflammation prevents it from functioning well which gives you the pain. Furthermore, this can be caused by a frequent wearing of high-heeled footwear and as a result of activities that place a great amount of pressure on the balls of your foot. This is more of like sesamoiditis which causes the big toe joint pains. This pain stems from a sprain in your foot, especially when it is not attended immediately. Some of the factors that may have a great contribution to this kind of injury are the athletic shoes that you probably are wearing. This could also be the stress and pressure that you get to apply to your feet, to your toe when you run. The cause of having this can further reach to the hyperextension of your big toe. It can also happen when it is bending way too far back. This can definitely damage the ligaments around your joint causing your big toe joint pain and inflammation. As this oftentimes happen to people who do sports, it is advisable that one should be careful in doing leg functions or footwork.
. This is another condition that greatly affects your nerves that go through and between your toes. When this happens, you get to experience an excruciating big toe joint pain. Such pain is often described as having pieces of small stones underneath the foot. Apparently, this condition is a result of the thickening of the tissue that surrounds the said nerve. This may be a result of other problems in the foot which have been ignored by thinking that it is normal or that t would go away immediately on its own. Given the causes of your big toe joint pain, it’s high time that you get to know the treatments for it also. There are over-the-counter drugs that could help you ease your big toe joint pain. Therefore, you can just purchase the pain relievers and anti-inflammatory pills at any drug store. You can avail of it and have it applied on your big toe joint where you experience pain. If it is a pill, then you can take it also to numb the pain that you are currently experiencing and to avoid any further inflammation. It can also be an ointment in which you would just apply to the area that is giving you pain. This is actually one of the most common home treatments for a big toe joint pain. Place a pack or two of ice on your aching big toe for temporary relief. But make sure that you take a pill for a longer term of numbness from the pain. It is important that you have a consultation with your doctor to make sure that could not get worse through time. Your pills can also be useless if you keep on wearing a footwear which makes you uncomfortable. You can avoid using high heels for that matter since this could only worsen your big toe joint pain. You can also choose to stay away from pointed shoes as this could definitely compress your toes. Using braces and shoe inserts is one of the best treatment to your big toe joint pain. 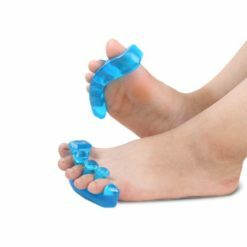 These are designed to alleviate the bunion pain that you are feeling by distributing the weight that you get to give to your feet. By having done such, there would less weight to be in your bunion area. Also, it lessens the pressure that is going to be placed in your big toe. This gives your big toe the healing that it requires and makes you feel comfortable even when your weight is not centered in your big toe area. You can also resort to foot massage if you think you can deal wth it. At first it would seem to be as painful as it could ever be. This is because you will be touching your big toe and give it a relaxing massage. However, the massage could make you stretch your big toe and this can disturb the comfort of your big toe joint. Once you learn how to do a proper foot massage, your foot should start to adapt and your big toe joint pain should decrease, allowing you to relieve the pain that you are having. Having a routine exercise for your big toe can help you relieve your big toe joint pain. When you perform the right toe stretches and the correct frequency that you need, it is definitely possible for you to have the relief that you deserve in no time. However, you need to make sure that you get to perform the stretch as recommended by your doctor or physical therapist. If not, you could suffer from a severe one which may seem to be the big toe joint pain’s response to you trying to treat it. It is one of the best ideas that you should let your feet rest for a while after a long day at work. 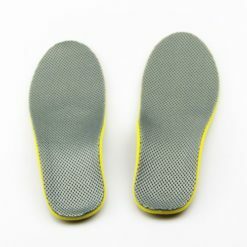 It is best for your big toe to have some kind of a break time from walking and moving around. However, you should not overdo it. Do not become a sloth such that you overreact and stay bedridden for long. You have to move but you also have to rest your feet. 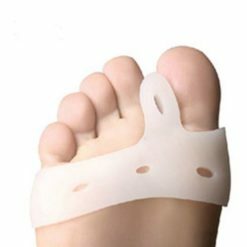 This is for your big toe joint to avoid straining itself and have your relief from big toe joint pain. Surgery is also a likely choice that you could opt for. Most people would only have their appointments with their surgeon when they have tried all the other treatments and it still do not work for them. This is because there are worse cases of big toe joint pains that clearly need the assistance of intense medical attention. This becomes the last resort of the majority because it may cost too much. Your surgery would depend upon the condition of your big toe joint pain, which would somehow deal with how it developed and how worse it has become through time. Another thing to keep in mind is that big toe joint recovery time can take a minimum of 1 to 2 weeks. During that time, you may be restricted from walking or going back to work, it also depends on your condition and the type of surgery performed. If your surgery involved bone cuts, you are more likely to wear protective boot (surgical shoe) for 6 weeks or more until the bone mends.If you decided to have a big toe joint surgery, ask your doctor how will the operation be performed and what to expect after surgery. 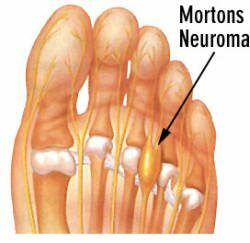 The big toe joint pain causes can be bunions, hallux limitus, arthritis, gout, sesamoiditis, Turf toe, and Morton’s neuroma. These can be helped though by knowing the different big toe joint pain treatments. You can proceed with taking pain relievers to ease the pain. However, you have to bear in mind that the opinion of an expert is also highly advised. This is to prevent it from causing any worse conditions. This entry was posted in foot health care and tagged Arthritis, big toe joint pain, Bunion, Gout, Osteoarthritis.